Boeing has reaffirmed its target of 810 to 815 commercial aircraft deliveries for calendar 2018. The company says it is also continuing to work towards an entry-into-service (EIS) date of 2025 for its proposed new mid-market airplane (NMA). The delivery guidance and outlook for the NMA was included in the company’s financial results for the three months to June 30 2018 handed down on Wednesday (US time). 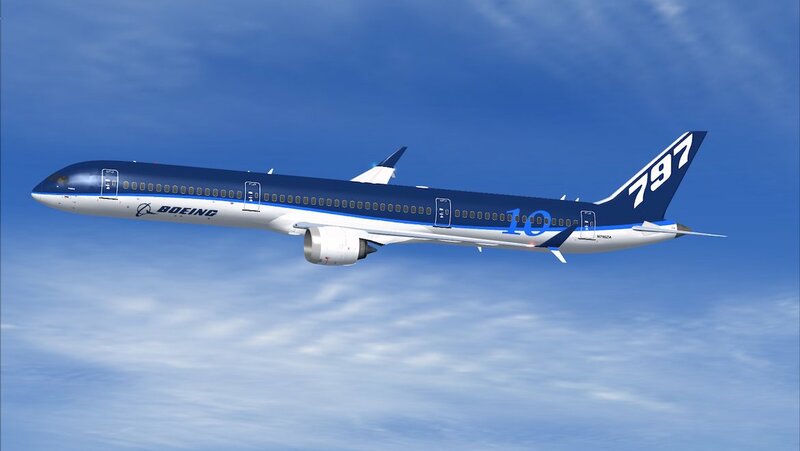 Boeing said its commercial airplanes division, which generated the bulk of the company’s revenue, delivered 194 commercial aircraft in the second quarter of calendar 2018, up six per cent from 183 aircraft in the prior corresponding period. Its delivery guidance for the full 2018 calendar year was unchanged at 810-815 deliveries, compared with 763 deliveries in calendar 2017. At the recently concluded Farnborough Airshow, Boeing racked up some 673 orders and commitments for commercial aircraft, which included a number for “unidentified customers”. “We continue to see the trend of diverse and balanced demand from a geographical perspective, as well as across the spectrum of airline business models,” Boeing chief executive Dennis Muilenburg told reporters during the company’s quarterly results conference call. “The changing nature of travel, with the expansion of network city pairs and rising middle-class population in emerging markets, have fundamentally expanded traffic patterns and underpinned sustained growth. “There also is more balanced demand between fleet growth and replacement of older aircraft, and we are seeing more consistent and stable customer purchasing patterns. 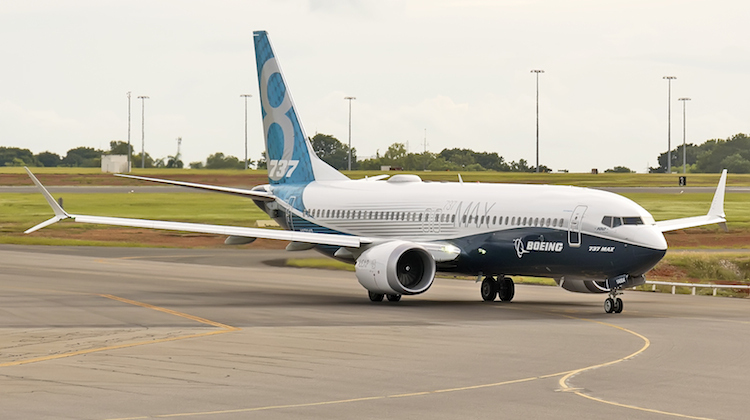 Muilenburg reaffirmed previous guidance that the 737 production rate would increase from 52 aircraft a month currently to 57 a month by 2019, noting that the production skyline for the program was sold out early into the next decade. “We continue to assess the upward pressure on this 737 production rate,” Muilenburg said. Boeing’s recently published 2018-2037 Commercial Market Outlook has forecast 42,730 new aircraft deliveries over the next two decades. Muilenburg said Boeing was continuing its study on the proposed NMA, or 797 as some have described it, ahead of a possible launch in 2019. “We haven’t made a launch decision, but we continue to look at the middle of the market airplane and as you heard at Farnborough continue to have very productive customer discussions on that topic,” Muilenburg said. The NMA is focused on a two-aircraft family that would carry between 225-275 passengers anywhere from 4,500-5,000nm. It would be powered by an engine capable of producing about 50,000lb of thrust. That puts the NMA somewhere between Boeing’s largest narrowbody the 737 MAX 10, (3,215nm range with 230 passengers in a single-class layout), and its smallest widebody the 787-8 (7,355nm range with 242 passengers in a two-class configuration). And Boeing’s initial estimates for the NMA suggest there might be a market for 4,000 to 5,000 aircraft. Some aviation analysts, who might define the market differently, have put forward a number closer to 2,500. Muilenburg said the feedback from customers indicated they were looking for an aircraft with the comfort and benefits of a widebody while having narrowbody economics. “That’s frankly the challenge of closing the business case, and it goes back to all the work we’re doing on transforming our enterprise to drive efficiency in development production and support,” Muilenburg said. 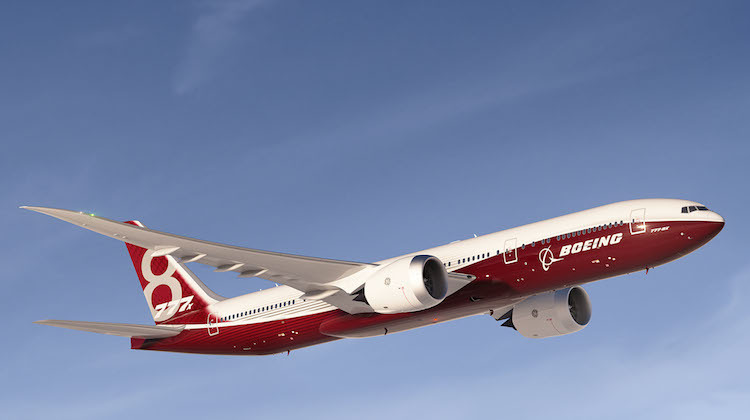 Boeing said solid progress was being made on the in-development 777-X program. During the quarter, the first two test aircraft were moved into the low-rate initial production line, while systems testing also got underway. “We remain on track for first 777-X delivery in 2020,” Muilenburg said. Further, Muilenburg said the company was continuing to make progress on automated technology systems for wing assembly and fuselage assembly. The company is targeting 3.5 777 deliveries a month in 2018 and 2019 as production transitioned to the 777-X program. It is also continuing to work on filling the remaining 777 production slots post 2020 while production of the 777-9X and 777-8X is ramped up. “We continue to believe the rate plan we’ve put in place establishes a floor for the program and supports our production bridge from the current 777 to the 777-X,” Muilenburg said. The 777-X program comprised the 777-8X, and larger 777-9X and features new General Electric GE9X-105B1A engines capable of delivering 105,000lb of thrust, new composite wings with folding wingtips to maintain its Code E rating at airports, as well as in-cabin enhancements such as larger overhead stowage and a wider cross section. 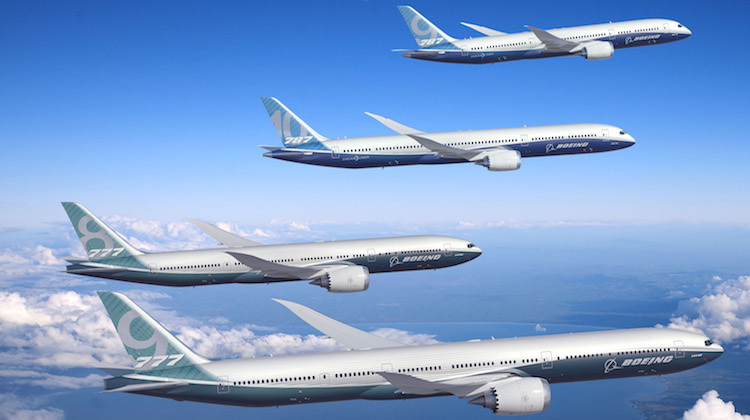 The 777-9X is listed on the Boeing website as having a range of 7,600nm and a passenger capacity of 400-425 passengers. Meanwhile, the 777-8X is still in development and yet to reach firm configuration. However, the Boeing website lists the aircraft as having a range of 8,700nm and a passenger capacity of 350-375 passengers. The aircraft is expected to enter service in 2022. The 777-8X is the likely contender for Qantas’s demanding Project Sunrise challenge to Airbus and Boeing for an aircraft capable of flying nonstop from Australia’s east coast to London and New York with 300 seats and four classes in the cabin. Airbus has proposed its A350 platform for Project Sunrise. VIDEO – Boeing says 777-X development is on track. Here Boeing details the 777-X’s flightdeck design and philosophy. The company reported net profit of US$2.2 billion for the three months to June 30 2018, up 26 per cent from US$1.7 billion in the prior corresponding quarter. Total revenues rose 5.2 per cent to US$24.3 billion amid “higher commercial deliveries and mix, defence volume and services growth”, Boeing said in a statement. “We continue to see healthy global demand in our commercial defense, space and services markets,” Muilenburg said. The quarterly result was impacted by a US$307 million charge for Boeing’s KC-46 Tanker program, which is based on its 767 platform. “This cost growth was primarily due to higher estimated costs of incorporating changes into six flight test and two early build aircraft as well as additional costs as we progress through late stage testing and the certification process,” Boeing said. Despite being developed from a commercial airframe and Boeing’s extensive experience in building tankers for the USAF and other countries, the KC-46 program has been dogged with development delays which has seen it miss several key developmental and delivery milestones. This has given rival Airbus a lead in the international market with its A330-200 Multi-Role Tanker Transport (MRTT). Boeing’s Defence, Space and Security business unit posted a nine per cent increase in revenue during the quarter to US$5.6 billion. 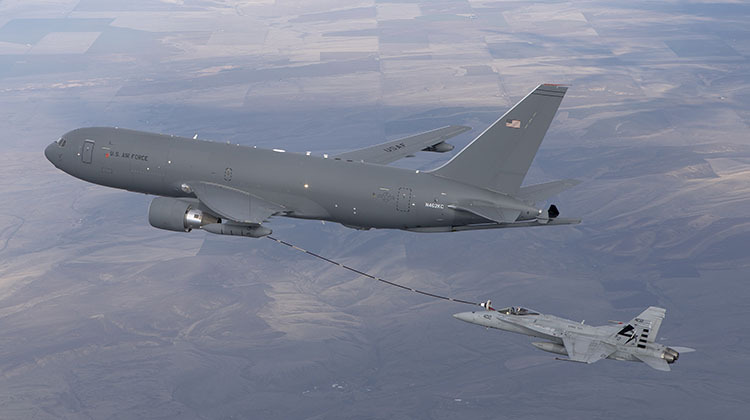 However, earnings from operations fell 15 per cent to US$521 million due to increased costs associated with the KC-46 tanker program, Boeing said. Established in 2017, Boeing Global Services is the company’s third business unit and brings together the aerospace giant’s previously separate aerospace and defence services in supply chain management, engineering, modifications and maintenance, digital analytics and training. It recorded second quarter revenues of US$4.1 billion, up 15 per cent from the prior corresponding period. Earnings from operations rose six per cent to US$603 million. “We see the US$2.8 trillion services market over the next 10 years as a significant growth opportunity for our company,” Muilenburg said.